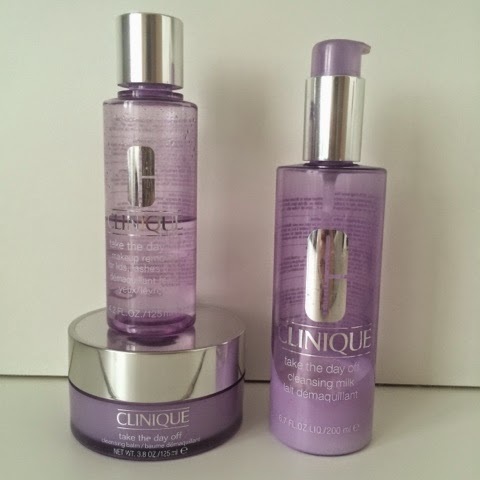 As I own the three main makeup removers by Clinique, I thought I would do a quick review on them! All three are completely different, they have different textures as well as purposes. They all come in purple packaging, which I absolutely love and I think they look so pretty together. This is my newest purchase in my collection of Clinique makeup removers. This was really weird when I first bought it, as I had never used a balm makeup remover before. 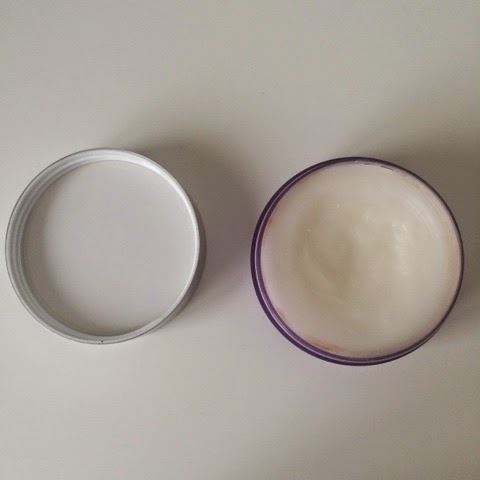 Its super easy to use, you just dip your finger in and swirl it around, as you would with a lip balm, until you have enough product on it and then distribute it onto your dry face. You don't need much product to cover your entire face, so the pot does tend to last a pretty long time. I bought this in January 2015, I believe, and it has not gone down much at all. The instructions are that you should pop it on your dry face and then rinse off with water. I, however, am lazy. So I will happily pop it onto my face and then wipe it off with some makeup wipes, which are of course wet, and it does the job just the same. You are able to use this on eye makeup as well, but I prefer not to. I would happily use it for eyeshadow but it is a bit of hassle to take off mascara, especially as I do tend to wear a lot of mascara. As it is a balm, it is really moisturising on the skin and leaves it feeling soft. But I would not recommend this for people who have oily skin, unless you're going to go in with a full face wash afterwards. 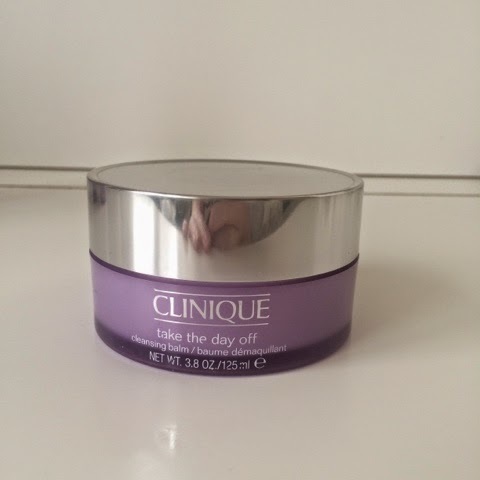 Again, I am lazy and only wash my face once a day in the morning, so when I use this on the night the silky soft feeling sort of works as a bit of a night moisturiser for me. This is one of my all time favourite products. It gets off your eye makeup really quickly and without irritating my eyes. It feels really odd the first time you use it. 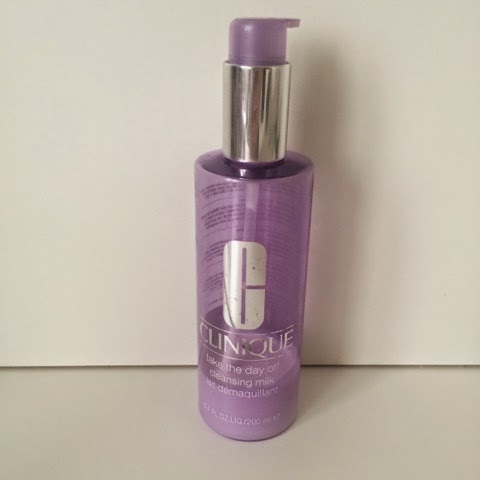 It is a really soft formula and feels silky on your skin but slightly greasy. It takes off everything really easily, including really stubborn waterproof mascara and eyeliner. Clinique recommend using a cotton ball but I use this with cotton pads. I find that cotton balls can fall apart whilst using them, getting bits of fluff in your eyes. But application is perfect using the cotton pads. I feel like it does nourish your eye area when you use it, but I'm not sure if it does actually have ingredients that are made to nourish the area. The only down side to this product is that it can run out quickly. Out of all of my Clinique skincare products I own, this is the one that goes down the quickest. Apart from that, if you have sensitive eyes I would definitely recommend this for you. If you're not sure about it but want to try it you can always ask for a sample. If not, it's really easy to get a small sized bottle as part of Clinique Bonus Time, I find that they're often included. This product is my least loved out of the three, despite the fact that it's on its last legs. I bought this product around 6 years ago, if not even longer than that (sue me, use by dates) but I stopped using it at the time as it was way too moisturising for me. The packaging instructs you to massage the product all over the skin and then rinse or tissue off. I never use water to take it off, again because I am lazy and don't like getting my hair wet before bed. Am I alone in this? I hate it! Anyway, so I tend to just put it on a cotton pad and massage it all over my face. This does work but I find I have to use quite a few cotton pads to do it. That's why I prefer the balm, as it takes one makeup wipe to get rid of it all. I used to use the same makeup wipe trick with the milk but it irritates my eyes. When I originally bought the product, I had asked if it took off eye makeup and the sales assistant told me that I could. Either she was ignorant or she was lying because it stings the living hell out of your eyes. As it is a Cleansing Milk, it is really moisturising on the skin. I would definitely recommend this for people who have really dry skin and are only looking for face makeup remover. Otherwise, for the price you pay, I feel like there are hundreds of cheaper alternatives. But they may not look as pretty. 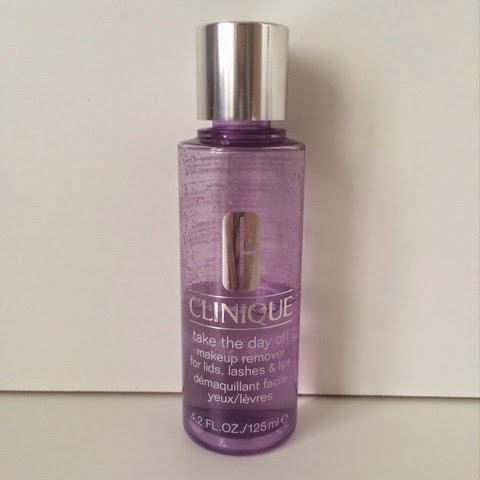 Thank you for reading and please let me know in the comments what your experiences with Clinique makeup removers are! I have also done a post on the Clinique 3-Step and the Sonic Brush if you are interested in hearing more about my experiences and thoughts about Clinique skin products.